Prepare yourselves, Henrik and Daniel. 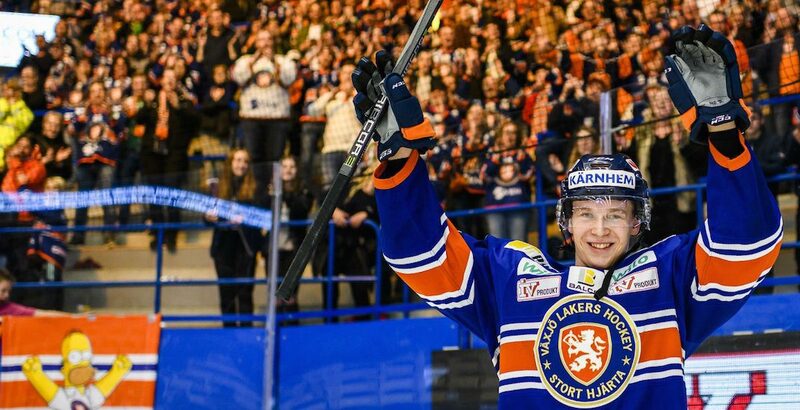 Elias Pettersson is making history overseas, on pace to become the highest-scoring teenager in Swedish Hockey League (SHL) history. The 19-year-old Canucks first rounder scored another spectacular goal on Tuesday to up his point total, falling to his knees to hold the puck in at the line before ripping home a shot to the top corner with a wicked wrister. If you’re like me and watched that clip thinking “that keep-in at the blue line would have made Brent Sopel proud,” you’re absolutely right. Pettersson’s point total is now up to 41, passing Markus Naslund (40 points in 1991-92) and Nicklas Backstrom (40 in 2006-07) on the all-time list among teenagers in Sweden’s best professional league. What makes the accomplishment even more impressive is that Pettersson (33 games) did it in fewer games than both Naslund (39) and Backstrom (45). Other teenaged sensations that Pettersson has recently passed include Canucks great Thomas Gradin (39), Tomas Sandstrom (37), and Patric Hornqvist (34). Next in the lanky Swede’s sights are Henrik Sedin (47 points in 1999-2000) and his brother Daniel (45), followed by Peter Forsberg (48 points in 1992-93), and the record holder Kent Nilsson (54 points in 1975-76). With 11 games left in Vaxjo’s season, Pettersson is on pace to break Nilsson’s all-time record – but it’s going to be close. If Pettersson continues to score at a rate of 1.24 points per game (the highest rate in the league this season), he will end up with 55 points – beating Nilsson by one. Pettersson no longer leads the SHL in scoring given that he missed games to play for Sweden at the World Juniors, but he’s creeping back into the race. He’s currently fifth in scoring, just six points back of the leader. If he were to lead the entire league in points at the end of the season, he’d be just the second teenager to ever do it.